Hello, my name is Yasuhiro Ohsone. I have been involved in SIGMA’s product development for more than 30 years. In this column, I talk about how past products were created and the peculiarities that make them stand out; provide some background information on how the camera and lens market has developed; and share anecdotes about mistakes and failures – only the ones I’m not too embarrassed about, though. This fourth entry in the column is the second part of my history of SIGMA’s 28mm lenses. The release of the Minolta α-7000 heralded the beginning of the “Autofocus Era,” during which both cameras and lenses made great advances. One of the technologies which helped enable these advances was the aspherical lens. Especially wide to standard zoom lenses profited from the inclusion of aspherical lens elements in their designs, leading to improvements in their optical performance and reductions in their size. SIGMA was bold enough to employ these aspherical lens elements in the development of their prime lenses, too. 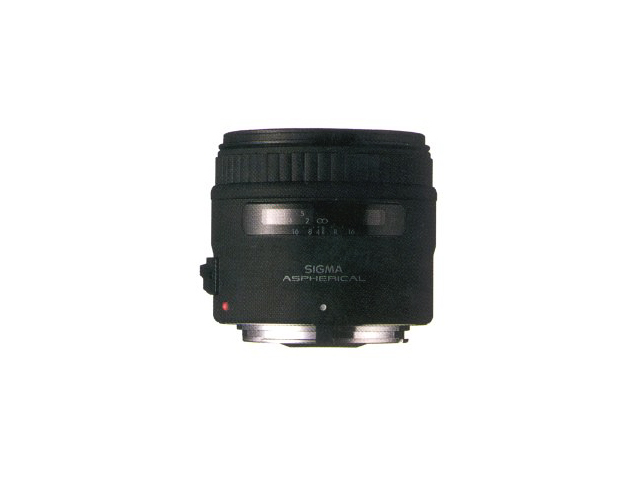 The first such lens was the SIGMA 28mm F1.8 ASPHERICAL ZEN, released in 1991. A wide-angle lens with such a wide aperture was possible thanks to the ability that the aspherical lenses afforded, as well as newly created lens mount standards and assembly processes. SIGMA decided to sell the lens at the shockingly low price 30,000 Yen (around $300). At the time, the strongest muscle in SIGMA’s lineup was a zoom lens set—the “Double Zoom”—consisting of a standard and a tele-zoom lens. This Double Zoom set was an unprecedented hit, accounting for about 20% share of the interchangeable lenses sold by SIGMA. But sales of the Double Zoom soon took a hit: manufacturers had begun bundling their own double-zoom lenses with new cameras, which ate into SIGMA’s market share. 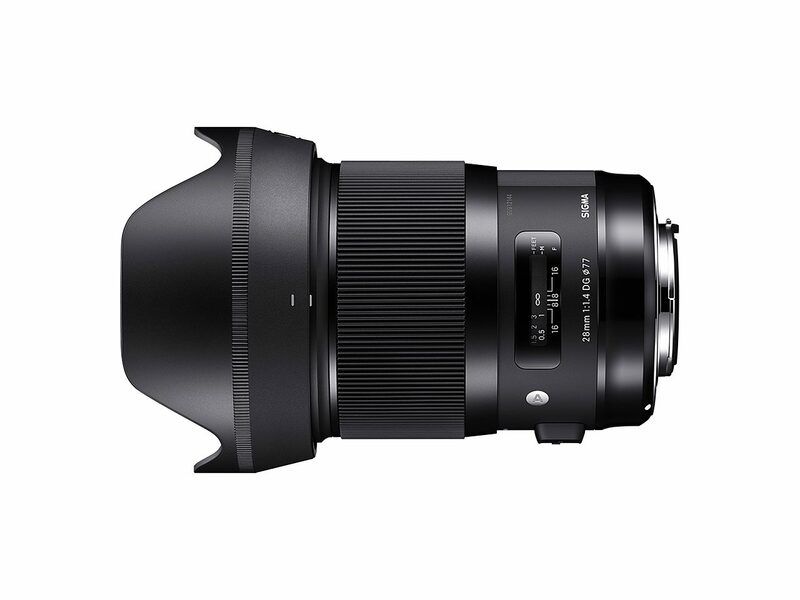 And so SIGMA was in need of a new, highly popular lens in its lineup. While the price-tag may seem too cheap, the lens was a profitable product for SIGMA, who had also sold its Double Zoom set at an extremely low price. The new 28mm F1.8 ASPHERICAL ZEN became a hit, and it helped carry the company through a rather difficult period. The design of the lens was soon improved, enabling a reduction of the lens’s weight and better productivity. The updated version managed to further increase the already large user-base of the lens. Thanks to the aspherical lens elements, SIGMA was able to add a large aperture and better optical performance to the classic optical specifications of a 28mm focal length lens. The lens also left a deep impression on me personally; I have always owned a model of the lens for each of the camera systems I went through—from the Nikon MF to the Olympus OM, the Pentax AF, and the SIGMA SA mount. As a side note: responsible for the mechanical design of the SIGMA 28mm F1.8 Ⅱ ASPHERICAL ZEN was none other than Kazuto Yamaki, then part of the mechanical design division and now CEO of SIGMA. The new design of the II-model featured a brilliant three-dimensional layout for the focusing motors and the aperture mechanism of the lens. 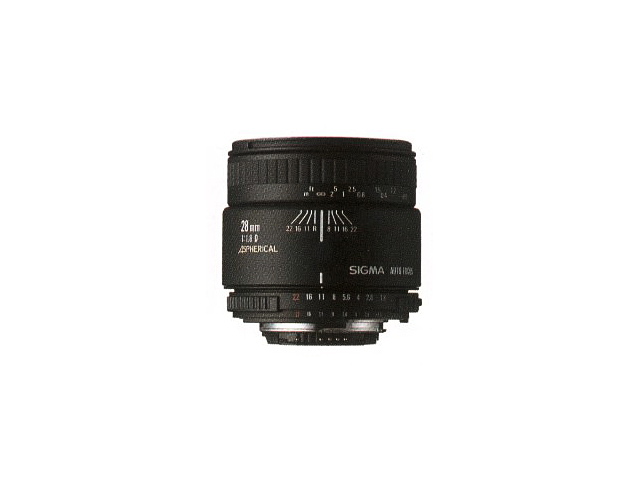 In 1998, SIGMA announced its new EX series aimed at professionals and high amateurs. 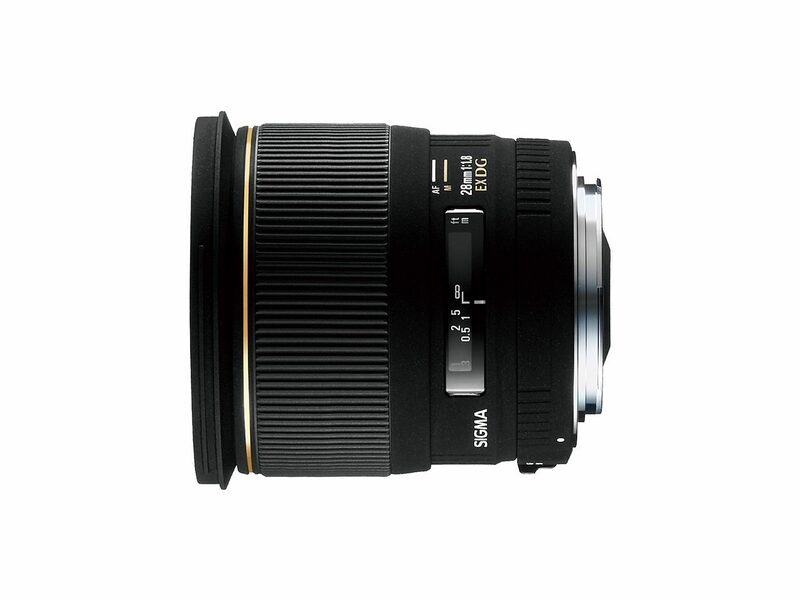 With the EX series, SIGMA began its new focus on high-quality, high-performance lenses. The original EX lineup was to feature three large-aperture lenses with aspherical elements. Aiming to release all three lenses in a timely manner and at a low price-tag, SIGMA opted for lens designs which made use of shared common parts. The strategy paid off, and all three lenses were released in the years 2000 and 2001: the SIGMA 20mm F1.8 EX DG ASPHERICAL RF, the SIGMA 24mm F1.8 EX DG ASPHERICAL MACRO, and the SIGMA 28mm F1.8 EX DG ASPHERICAL MACRO. With its magnification ratio of 1:2.9 and a minimal focusing distance of only 0.2m, made possible by its floating focus mechanism, the 28mm F1.8 lens was a popular lens with its capability to also work as a macro lens. However, compared to the impact of the 20mm F1.8—the world’s first 20mm lens with an F1.8 aperture—the 28mm F1.8 has led a rather shadowy existence. Its true qualities were understood by those who used it. SIGMA halted development of any new 28mm lenses in 1999. The focus on the DC lens series for digital cameras—i.e. lenses for use with APS-C sensors—meant we simply did not get around to develop new full-size wide-angle primes. Thus, the 28mm F1.8 EX DG ASPHERICAL MACRO remained a member of SIGMA’s lens lineup for many years. The last 28mm lens to make its appearance in my little overview is, of course, the latest addition to the SIGMA GLOBAL VISION series: our new SIGMA 28mm F1.4 DG HSM | Art. We are proud to call it the best large-diameter 28mm lens in the world. Originally, we had not planned for the lens to feature such highly advanced specs. The lens began with the plan to widen the Art lens lineup with a lens that matched our 24mm and 35mm lenses in size and performance, as a project that our newly hired optical engineer could cut his teeth with. However, soon after the project had begun, a competitor released a rather well-made 28mm F1.4 lens. We had to reconsider the direction of the project: should we pursue the original design or overhaul our plans and improve the lens to compete with the other company? At this point, the young engineer revealed his passion: “I don’t want to lose out to any competitor, because it is an Art.” We decided to change course – with an extended schedule, we began to re-work the design of the lens. During this period, development of the 40mm F1.4 DG HSM | Art made great advances; I imagine that the high performance of this lens might also have played a role in spurring on the optical engineer. Even with its size and weight, I would like you to try out the best performance large aperture wide-angle lens, SIGMA 28mm F1.4 DG HSM | Art on your own camera some day and let it capture anything you may throw at it, whether it is a natural landscape lit by the morning sun or a city glittering in the dark of the night. Entered SIGMA in 1987. Has worked in the development of optics and mechanisms as well as collaborating with many companies. Became head of product planning in 2013. Peter Barakan I want to provide the listener with a selection of songs to face life. A photography series introducing a diversity of photographs and shooting styles, dedicated to everyone who enjoys photography with SIGMA. Photographers, photobooks, exhibitions and events that deserve attention, curated by Benrido Atelier director Taka Kawachi. A column exploring different ways of looking at photographs, written by photography critic Mika Kobayashi. New horizons, fresh ideas ̶ deeper interviews with thinkers and artists from various fields. Elements that represent the essence of our Aizu factory’s craftsmanship. Introducing the products and technologies that became a turning point in SIGMA’s continuous development of the perfect camera gear.